Mitchell's Foundation strives to transform the lives of students through literacy and to inspire young people to read by providing students access to books in under-resourced communities. 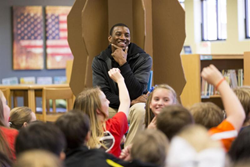 Malcolm Mitchell’s mission is to inspire young readers. The Magician’s Hat will cast its spell on you. March is National Reading Month - and just like he does on the field - New England Patriots Wide Receiver, Super Bowl Champion, Literacy Crusader and Author Malcolm Mitchell – is getting out ahead. 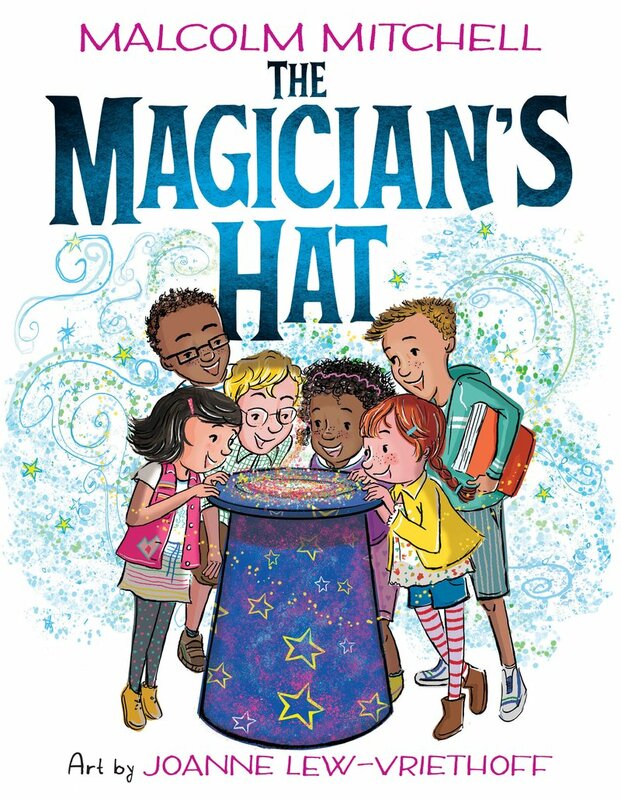 Mitchell and Orchard Books, an imprint of Scholastic, have released a newly-illustrated and expanded edition of his children’s book, "The Magician's Hat." To celebrate the book’s release and National Reading Month, Mitchell, in conjunction with his youth literacy initiative, Read With Malcolm and his non-profit organization, Share the Magic Foundation, have announced a week-long tour to “Share the Magic” of reading with thousands of children through school Reading Rallies, at family and community events, and book signings in multiple cities. The mission of Mitchell’s Foundation is to transform the lives of students through literacy and to inspire young people to read by providing students access to books in under-resourced communities. Over the course of the “Share the Magic” Tour, Mitchell will read his new book aloud with nearly 3,000 children from eight schools, their teachers and their families during his signature Reading Rally program to be held in Boston, New York City and Atlanta. These events feature a high-energy, enthusiastic and engaging pep-rally atmosphere - with a live magician - designed to celebrate reading, energize students and motivate them to make reading a priority. Each child who participates in a “Read With Malcolm Reading Rally” will receive a copy of Mitchell’s book to keep. Since 2015, Mitchell has put more than 30,000 copies of the original, self-published edition in the hands of students. Through his Foundation, Mitchell aims to get the newly-illustrated and expanded edition of his book to tens of thousands of children across the country. Mitchell originally self-published “The Magician’s Hat” in 2015, while at The University of Georgia. In 2017, Scholastic, the global children’s publishing, education, and media company, acquired the rights to the book, and to two additional, original forthcoming books by Mitchell. Immediately following the “Share the Magic Tour,” Mitchell will hit the road again, visiting schools, organizations and institutions, reading to children, speaking to parents and teachers, as part of his annual “Read Across Georgia” and “Read Across New England” programs, reaching an additional 6,000 students. Author, Super Bowl Champion and New England Patriots wide receiver, Malcolm Mitchell considers a love of reading to be his greatest achievement. In 2016, he founded Share the Magic Foundation with a sole purpose: to transform children’s lives through literacy. The Foundation’s mission is to inspire young people to read by bringing book ownership to students in Title I schools and under-resourced communities. Whether a student is a striving reader or learns differently, Read With Malcolm literacy programs provide both inspiration and motivation, and carry the message that reading is the key to achieving one’s goals. To learn more about Malcolm's vision to inspire young and striving readers, please visit http://www.readwithmalcolm.com. Scholastic Corporation is the world's largest publisher and distributor of children's books, a leading provider of core literacy curriculum and professional services, and a producer of educational and entertaining children's media. The Company creates quality books and ebooks, print and technology-based learning programs for pre-K to grade 12, classroom magazines and other products and services that support children's learning both in school and at home. With operations in 14 international offices and exports to 165 countries, Scholastic makes quality, affordable books available to all children around the world through school-based book clubs and book fairs, classroom collections, school and public libraries, retail and online. True to its mission of 97 years to encourage the personal and intellectual growth of all children beginning with literacy, the Company has earned a reputation as a trusted partner to educators and families. Learn more at http://www.scholastic.com.